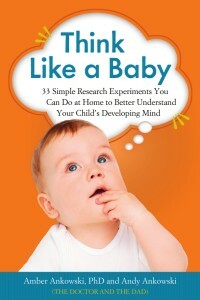 This week, the Doctor and the Dad wrote an article for the PBS Parents website! It’s all about “household chaos” – how to identify it, how it can hurt your family, and how you can get it under control. If you like the other stuff we write, we think you’ll like this too. So what are you waiting for? 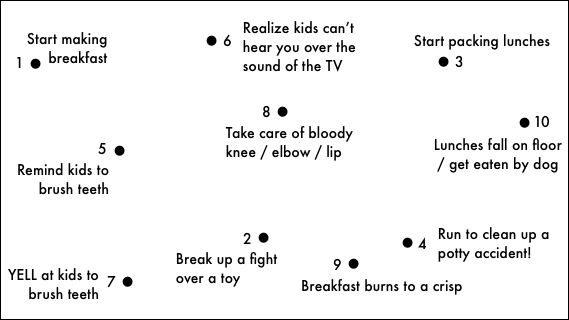 Break up your kids’ fight, turn down your eardrum-blasting TV speakers, put out the oven fire in your kitchen, and go check out the article! 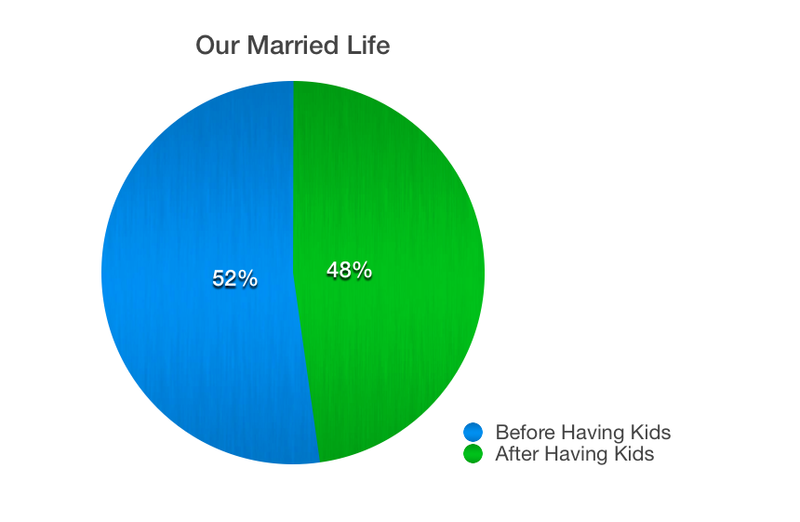 How having kids changes your life – now in chart form! So the Doctor and the Dad recently celebrated our ninth wedding anniversary. In addition to giving us a legitimate reason to go out and eat excessive amounts of delicious seafood, this also spurred us to look back at everything we’ve done together over the past nine years.